The traditional taste of pozole at your table. Prepared with the highest quality ingredients, including Juanita’s Original Mexican Style Hominy, to pamper your family. Heat and serve anytime for homemade taste every time. PORK BROTH (WATER, PORK BONES, PORK FAT, ONION, GARLIC. 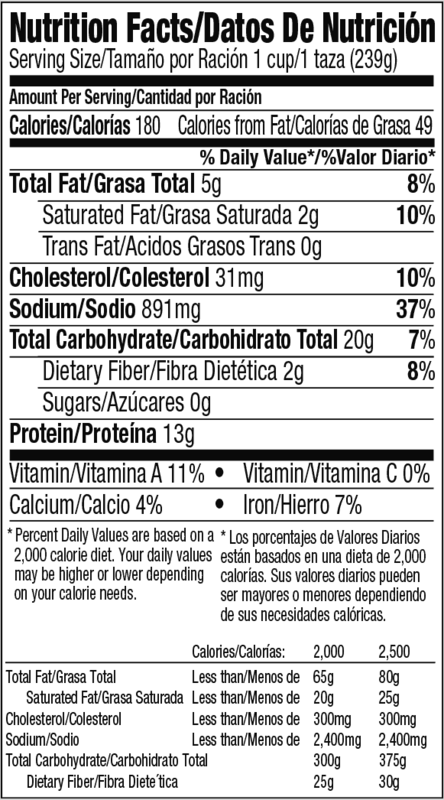 SPICE), HOMINY, PORK, RED CHILE PEPPERS, SALT, SPICES, ONION, SEASONING BLEND [YEAST EXTRACT, MALTODEXTRIN, NATURAL FLAVOR (CONTAINS CANOLA OIL AND SMOKE), TAPIOCA STARCH], GARLIC, AND CITRIC ACID. The traditional taste of pozole at your table. Prepared with the highest quality ingredients, including Juanita’s Original Mexican Style Hominy, to pamper your family. 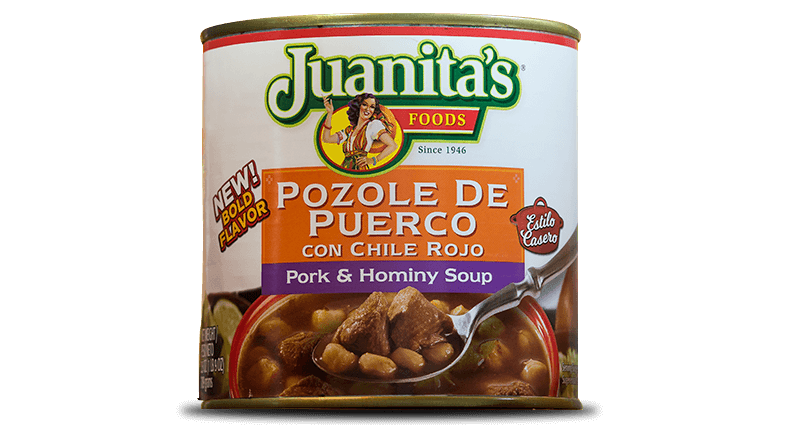 The traditional flavor of the pozole with green chile, prepared with Juanita’s Original Mexican Style Hominy that you already love. 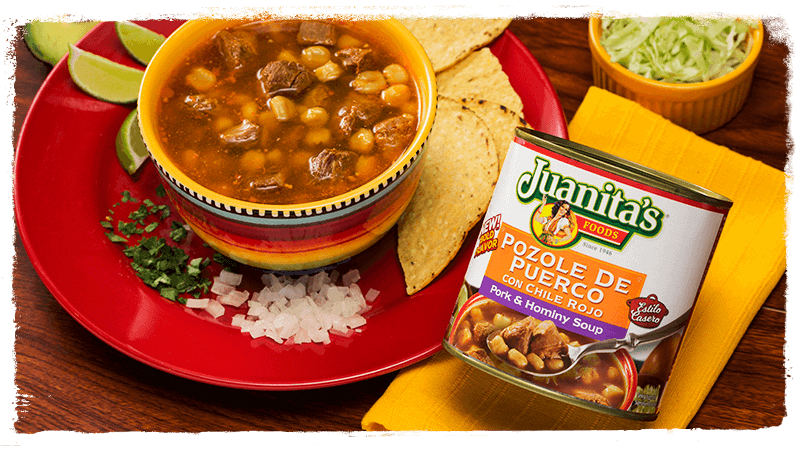 Juanita’s Pozole de Pollo Con Chile Rojo is the flavor of the traditional Mexican family kitchen that you already know. 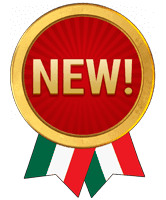 Juanita wants to cater to everyone’s taste, and also prepares a Pozole de Pollo with green chiles, with only the freshest ingredients, including Juanita’s Original Mexican Style Hominy.